Wolves have confirmed they will sign on-loan striker Raul Jimenez on a permanent deal, for a fee thought to be in the region of £30m, smashing their club transfer record. The striker has signed a four-year deal at Molineux having been on loan at the club from Benfica this season. He is Wolves' top scorer with 15 goals, which has helped fire the club to seventh in the Premier League and Sunday's FA Cup semi-final against Watford. Mexico international Jimenez spent three years with Benfica, scoring 22 times in 101 games after joining from Atletico Madrid in 2015. 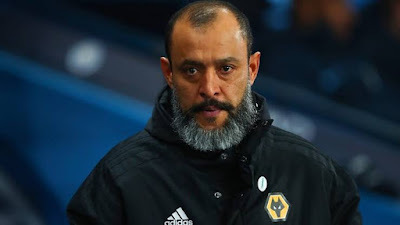 The signing of the 27-year-old takes Wolves' spending to around £164m under owners Fosun and they have broken their transfer record five times. Kevin Thelwell, Wolves sporting director, said: "The impact Raul has made during his short time at the club has been fantastic and we're delighted that he'll be part of the club's long-term future. "His goals in the Premier League and FA Cup have been vital to this season's success and we're looking forward to seeing him contribute even more during what will be an exciting end to the season in both competitions. "Raul's permanent signing shows the ambition of this football club and the determination to make sure the future is an exciting one." Jimenez revealed his delight at securing a permanent stay in England. "I want to make history here at the club," said Jimenez, who has penned a deal running until the summer of 2023. "I want to put the club back into the top places in the Premier League. I think we all want that and have that ambition. "It's a great honour for me to now be a permanent member of the team."